The second and final day of the TIBCO NOW Global Tour here in Singapore is a wrap, but the ideas shared and relationships made have made an impact on all in attendance. The General Session anchored the morning, and the afternoon was all about breakout sessions, hands-on labs and certification exams. But it wasn’t all work and no play. The conference came to an end with participants feeling like they were on top of the world—literally—at a happy hour on the top floor of the Marina Bay Sands. 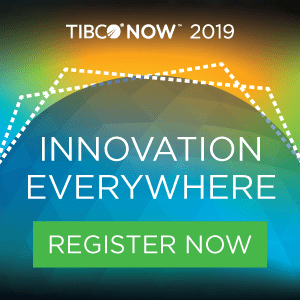 Day two commenced with the General Session, where TIBCO along with customer and partner keynotes took the stage to continue the discussion on the theme of innovation everywhere. While Wednesday’s General Session was all about building a foundation for innovation, Thursday focused on how we can move forward with making an impact through innovation in our organizations and beyond. Innovation is at the heart of TIBCO, but TIBCO COO Matt Quinn reminded the audience that it doesn’t always come easy. The main reason for this is because we often find ourselves restricted by the unknown. According to Quinn, “today’s innovation is held back by yesterday’s constraints.” He explained that companies striving for innovation need to break free of the past and start designing for the future. “How can we build systems that can prepare for the unknown?” Quinn asked. “By building intelligent, adaptable systems from the ground up. Adaptability is going to be the hallmark of the future,” said Quinn. TIBCO COO @mattquinn takes the #TIBCONOW keynote stage, delivering a dose of innovation inspiration to kick off day 2! Chwee Chua, global director of cognitive science and automation at Schroders, echoed Quinn’s sentiment, sharing his own challenges as he learned to leverage innovation. Chua drew a connection between being a pioneer in innovation and being a ‘red shirt guy’ from Star Trek, drawing laughs from the crowd as he shared animations of the TV characters meeting their untimely demise. The lighthearted metaphor reminded the audience that it’s okay to fail in the pursuit of innovation. At TIBCO we know we’re in good company, as our customers and partners value the pursuit of innovation as much as we do. Ashok Mysore, vice president and regional head, ANZ, at Infosys, spoke on the importance of constant innovation. “A digital-ready company is continuously investing in reinventing its digital core,” Mysore stated. Our partnership with Infosys has been robust and continues to foster innovation on both sides. Dave Gledhill, CIO at DBS Bank, shared how DBS took a page from Matt Quinn’s playbook that breaking free from the past can result in success, as the bank decided to forgo traditional growth methods and look to start-ups for inspiration. Gledhill also made a pop-culture reference, explaining how DBS wants to be considered the “D” in GANDALF (Google, Amazon, Netflix, DBS, Apple, LinkedIn, Facebook), representing some of the world’s most innovative companies. He spoke about the bank’s digital transformation in terms of three steps: becoming digital to the core, embracing the customer journey, and managing a collaborative 26,000 person startup. Gledhill emphasized the point that even though the technology is in place, people and culture need to work alongside it in order to foster innovative success. One essential component of innovative companies is diversity. Guest speakers from the Asia-Pacific region who value diversity in their organizations joined Melissa Ries, general manager for TIBCO APJ, to share some fresh perspectives on the topic. 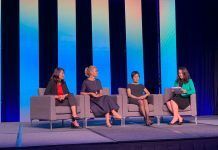 The all-female panel included Chuu Yi Loh, director of the Centre for Industry and Lifelong Learning at Nanyang Polytechnic, Jana Marle-Zizkova, co-founder and CEO/MD at Meiro.io and Shelovesdata, and Siew Choo Soh, head of consumer banking and big data analytics technology at DBS Bank. Read more about the key takeaways from the diversity panel. The general session concluded with the announcement of the Trailblazer Awards for our Asia-Pacific customers. 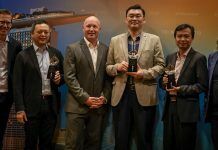 These customers were awarded for embracing digital transformation, using TIBCO technology to innovate and disrupt within their industries. This year’s winners were CyberLogitec, CargoSmart, Telkomsel, and Sydney Water. Learn more about this year’s winners. Mashery, Spotfire, Flogo, Oh My! In the words of Matt Quinn, “the TIBCO Connected Intelligence Cloud is built for TIBCO customers.” Thursday afternoon’s breakout sessions focused on TIBCO solutions, with product experts sharing insights on everything from streaming analytics to securing APIs to migrating to the cloud. Sometimes just hearing about new solutions isn’t enough, which is why there were also a number of hands-on labs offered on Thursday. This was the perfect opportunity for customers to acquaint themselves with some of TIBCO’s new and updated products, including TIBCO EBX, our newly-acquired master data management platform, and the all-new TIBCO Cloud Mashery, the API-management system that is now fully cloud-native. 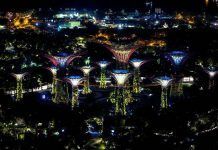 The first leg of the TIBCO NOW Global Tour ended in style, as conference-goers made their way from the convention center up to the top floor of the Marina Bay Sands for a final opportunity to network and socialize. Hosted at LAVO, the happy hour provided a much-needed time to unwind and reflect on the past two days. Check out our recap of day one in Singapore, or visit now.tibco.com to learn more about the next two stops on our tour, Chicago and London. For real-time updates, follow us on Twitter and Instagram, and use the hashtag #TIBCONOW to spread the word.